DATE 1969 DIMENSIONS 47 x 42 x 70 /cm. SPECIAL NOTE The cooperation between Arne Jacobsen and Fritz Hansen dates back to 1934. 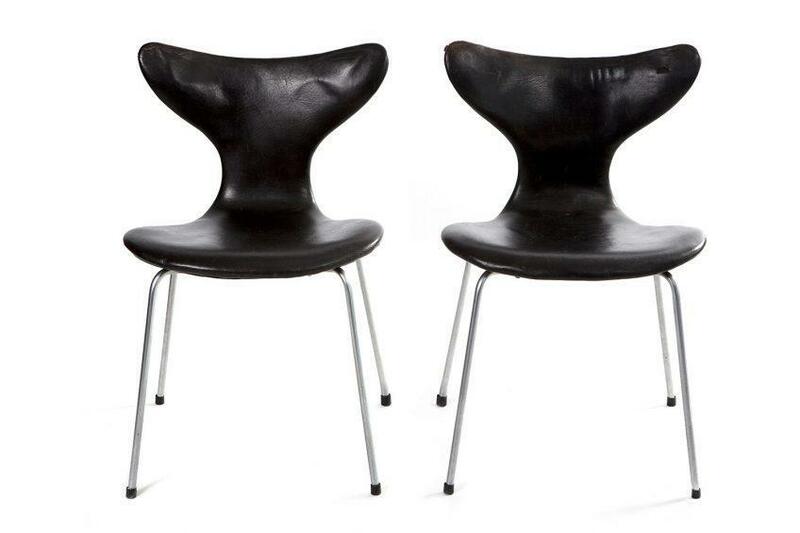 Arne Jacobsen was very productive both as an architect and as a designer. While the significance of Arne Jacobsen's buildings was less appreciated, his furniture and other design work have become national and international heritage. 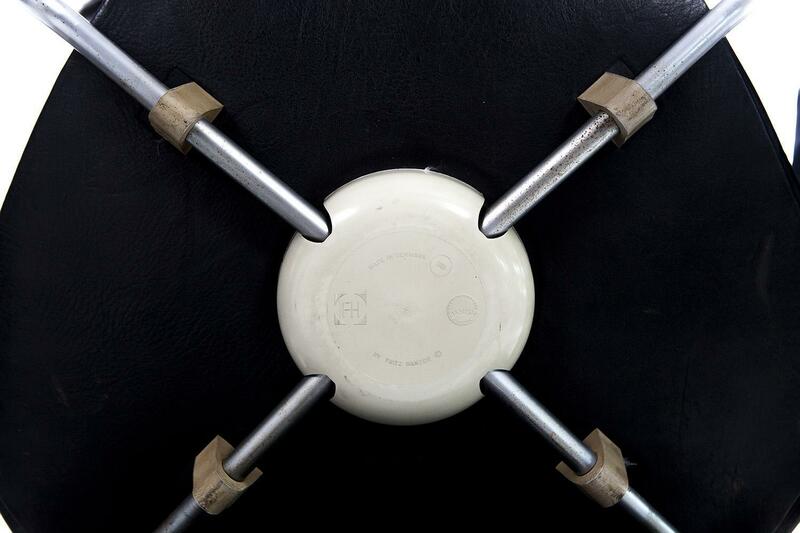 Originally designed in 1968 for the Danish National Bank in Copenhagen, this chair was produced only until the mid 1970s. 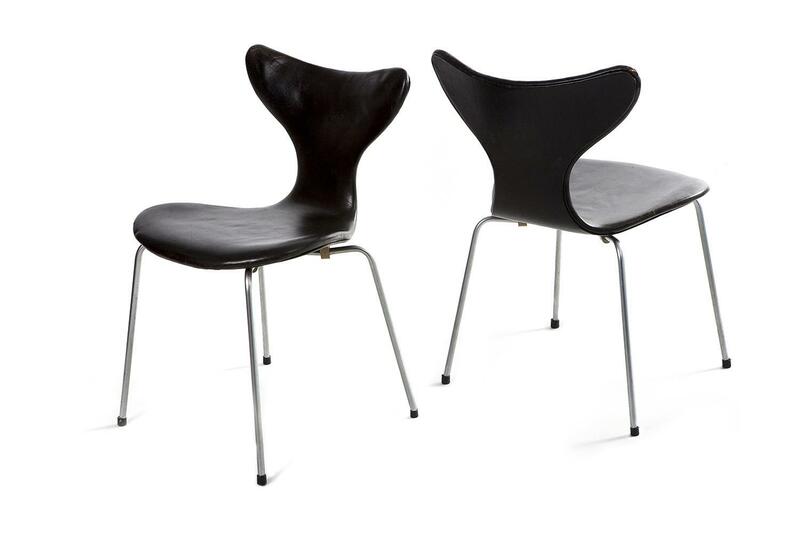 The design was re-introduced by Fritz Hansen recently and renamed the Lily chair.